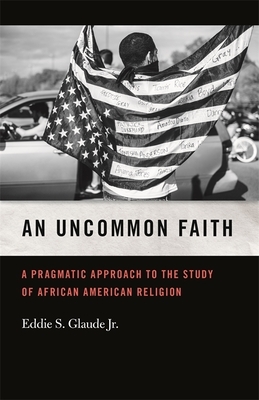 With An Uncommon Faith Eddie S. Glaude Jr. makes explicit his pragmatic approach to the study of African American religion. He insists that scholars take seriously what he calls black religious attitudes, that is, enduring and deep-seated dispositions tied to a transformative ideal that compel individuals to be otherwise--no matter the risk. This claim emerges as Glaude puts forward a rather idiosyncratic view of what the phrase "African American religion" offers within the context of a critically pragmatic approach to writing African American religious history. Ultimately, An Uncommon Faith reveals how pragmatism has shaped Glaude's scholarship over the years, as well as his interpretation of black life in the United States. In the end, his analysis turns our attention to those "black souls" who engage in the arduous task of self-creation in a world that clings to the idea that white people matter more than others. It is a task, he argues, that requires an uncommon faith and deserves the close attention of scholars of African American religion. EDDIE S. GLAUDE JR. is the William S. Tod Professor of Religion and African American Studies and the chair of the Department of African American Studies at Princeton University. He is the author of Democracy in Black: How Race Still Enslaves the American Soul, African American Religion: A Very Short Introduction, In a Shade of Blue: Pragmatism and the Politics of Black America, and Exodus! Religion, Race, and Nation in Early Nineteenth-Century Black America.